Valdery is a PhD Candidate in Management at Cass Business School in London and a computer scientist/project manager in the Clinical Data Animation Center at the Massachusetts General Hospital and Harvard Medical School in Boston, MA, USA. 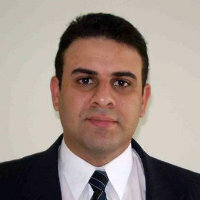 He is currently working on research projects that uses new computational techniques that are employed to acquire, convert, analyze and store large amounts of clinical data and medical records. He is interested in understanding how analytics tools and models can maximize clinical data’s value and makes a real impact on healthcare management. Research Interests: Project Portfolio Management, Value-based Management, Project Management in Clinical Research, Big Data, Data Analytics, Health Informatics. Award given in a special ceremony for recognition of the excellent business case developed to transition 30+ communities of practice into an integrated online community. Award given in a ceremony for the best community of practice results over the year. An, J., Jonnalagadda, D., Moura, V., Purdon, P.L., Brown, E.N. and Westover, M.B. (2015). Spatial variation in automated burst suppression detection in pharmacologically induced coma. An, J., Jonnalagadda, D., Moura, V., Purdon, P.L., Brown, E.N. and Westover, M.B. (2018). Variability in pharmacologically-induced coma for treatment of refractory status epilepticus. PLoS ONE, 13(10). doi:10.1371/journal.pone.0205789 . Shenoy, E.S., Rosenthal, E.S., Shao, Y.P., Biswal, S., Ghanta, M., Ryan, E.E. … Westover, M.B. (2018). Real-Time, Automated Detection of Ventilator-Associated Events: Avoiding Missed Detections, Misclassifications, and False Detections Due to Human Error. Infection Control and Hospital Epidemiology, 39(7), pp. 826–833. doi:10.1017/ice.2018.97 . Kim, J.A., Rosenthal, E.S., Biswal, S., Zafar, S., Shenoy, A.V., O'Connor, K.L. … Westover, M.B. (2017). Epileptiform abnormalities predict delayed cerebral ischemia in subarachnoid hemorrhage. Clinical Neurophysiology, 128(6), pp. 1091–1099. doi:10.1016/j.clinph.2017.01.016 . Moura, L.M.V.R., Carneiro, T.S., Kwasnik, D., Moura, V.F., Blodgett, C.S., Cohen, J. … Westover, M.B. (2017). CEEG electrode-related pressure ulcers in acutely hospitalized patients. Neurology: Clinical Practice, 7(1), pp. 15–25. doi:10.1212/CPJ.0000000000000312 . Shenoy, E.S., Rosenthal, E.S., Biswal, S., Ghanta, M., Ryan, E.E., Shao, Y.-.P. … Westover, M.B. (2017). Real-Time Automated Surveillance for Ventilator Associated Events Using Streaming Electronic Health Data. Open Forum Infectious Diseases, 4(suppl_1). doi:10.1093/ofid/ofx163.1681 . Moura, L.M.V.R., Schwamm, E., Moura Junior, V., Seitz, M.P., Hsu, J., Cole, A.J. … Schwamm, L.H. (2016). Feasibility of the collection of patient-reported outcomes in an ambulatory neurology clinic. Neurology, 87(23), pp. 2435–2442. doi:10.1212/WNL.0000000000003409 . Moura, L.M.V.R., Schwamm, E.L., Junior, V.M., Seitz, M.P., Hoch, D.B., Hsu, J. … Schwamm, L.H. (2016). Patient-reported financial barriers to adherence to treatment in neurology. ClinicoEconomics and Outcomes Research, 8, pp. 685–694. doi:10.2147/CEOR.S119971 . Wickering, E., Gaspard, N., Zafar, S., Moura, V.J., Biswal, S., Bechek, S. … Westover, M.B. (2016). Automation of Classical QEEG trending methods for early detection of delayed cerebral ischemia: More work to do. Journal of Clinical Neurophysiology, 33(3), pp. 227–234. doi:10.1097/WNP.0000000000000278 . Biswal, S., Nip, Z., Moura, V., Bianchi, M.T., Rosenthal, E.S. and Westover, M.B. (2015). Automated information extraction from free-text EEG reports. Proceedings of the Annual International Conference of the IEEE Engineering in Medicine and Biology Society, EMBS, 2015-November, pp. 6804–6807. doi:10.1109/EMBC.2015.7319956 . IRNOP (International Research Network on Organizing by Projects). (Conference) Boston, MA (2017). Project Management in Practice Conference. (Conference) Boston University, Boston, MA (2013). Invited speaker.